Hey y’all, it’s Sunday Morning, and that means it’s time for some musings! There are lots of things that I’m excited about in sports right now. First among them? The Red Sox are rockin’. Yes they got no-hit last night, but at 17-3 they’re off to a league-best. There are 162 games still to go, so no one start queueing up the duck boats just yet. Let’s talk about some awesome moments in sports! It’s a bird, it’s a plane. No? IT’S A TOOTBLAN! I would like to look at 5 outs that happened this week that need a look, and a re-look. Let’s start with this one. Also look at another picture of this one up above in the featured image. I mean look at it. It looks like it’s going to end horribly. I didn’t even know you could have such an awful team to team ratio in one zoomed in picture. We’re gonna play a game called “what do you do?” Say you’re a guy who gets caught on a pickoff at first base. so to save face you enter into a pickle between first and second. You’re hoping that maybe you give the guy on third enough time to run home. Now say you’re that guy on third and you see this happen, so you start inching towards home. Inching, not running. Now that decision gives the pitcher enough time to throw you out at home, leaving that first guy plenty of time to get to second, or even potentially third. Let’s go back to the first guy. Say all this happens do you a. hightail it to third, realizing you’ve just gotten an out but at least leave someone in scoring position? b. stop at second, because you’ve really boned this one and you shouldn’t press your luck? or c. run for third, but when the guy gets tagged out at home causing only the second out of the inning you start to jog and walk for third assuming the inning is over? Don’t pick option three, Rhys Hoskins. Just don’t. The perfect definition of a TOOTBLAN. Sure, this isn’t quite baserunning, or a TOOTBLAN, but literally what the hell is Evan Gattis doing? You have more than one job, but a big part of that job is counting to three. Hoskins and Gattis could use a quick refresher. I’ll do them one better, and offer them Feist teaching them all the way to four. BRYANT GUMBEL: “Tanking is — not trying your hardest to win ball games in — every day. I recommend you read the whole exchange, it’s pretty whackadoodle. Derek Jeter has pretty much created the textbook for an anti-competitive offseason. 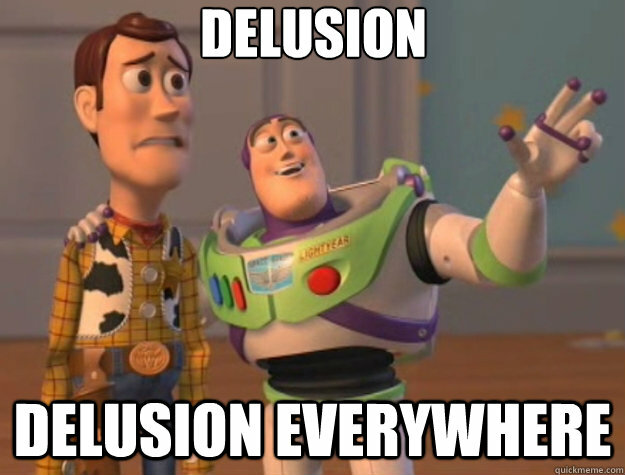 To argue he’s actively trying to win now is at best delusional, and at worst, truly defrauding fans of their money. 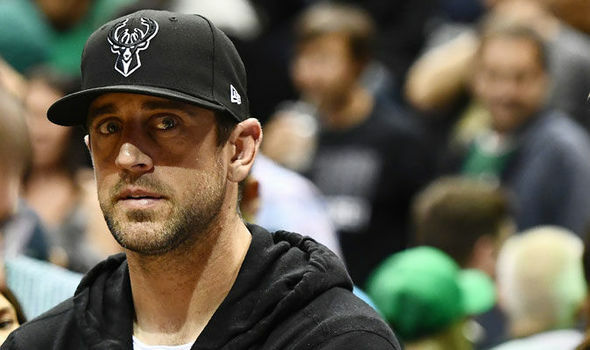 Yesterday it was announced that Aaron Rodgers is now a minority owner of the Milwaukee Bucks. 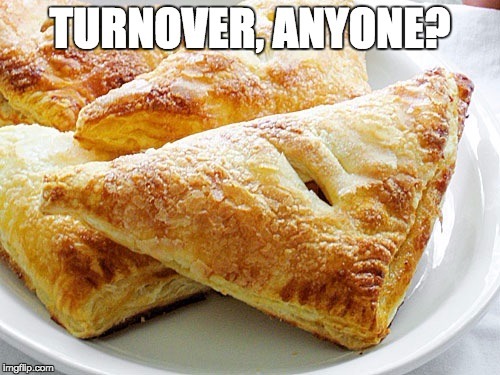 Rodgers is doubling down on Wisconsin, it looks like, and good for him. (Let’s hope they never trade him ???) Well is it any surprise that after that announcement the Bucks went out and won their first playoff game in 14 years? I think not. Aaron Rodgers makes everyone a contender, even just by having his name on a franchise. Last night the Bucks went out and resoundingly beat the Boston Celtics 116-92 to take the series to 2-1, Boston lead. 4 different Bucks dropped 17 or more points, which is an awesome point spread, and Rodgers grinned from ear to ear. Way to go Aaron, now maybe if Green Bay would give you literally any support, you could push deeper into the playoffs yourself. Arsene Wenger has announced that he is leaving the job of Head Coach of the Arsenal Football Club after this season is over. He didn’t say much more than that, except that he was focused on winning the next 7 games (hopefully 8, he added). Wenger has coached Arsenal for the last 22 years and overseen one of the best clubs in the world. His decision to leave wasn’t fully explained but after 22 years it might just be time to call it quits. In paying tribute to his former manager, Robert Pires called Wenger “the last dinosaur”. We’ve written here at The Turf about Colin Kaepernick. In a couple of contexts. He’s an incredible man and activist at the front lines of a battle for equality and justice. He is also a damned good football player. Unfortunately the former stands in the way of the latter, no matter how wrong that is. Well haters might be pissed to know, that Amnesty International wanted Kaep to understand how much his work means. They awarded him their Ambassador of Conscience award for 2018. 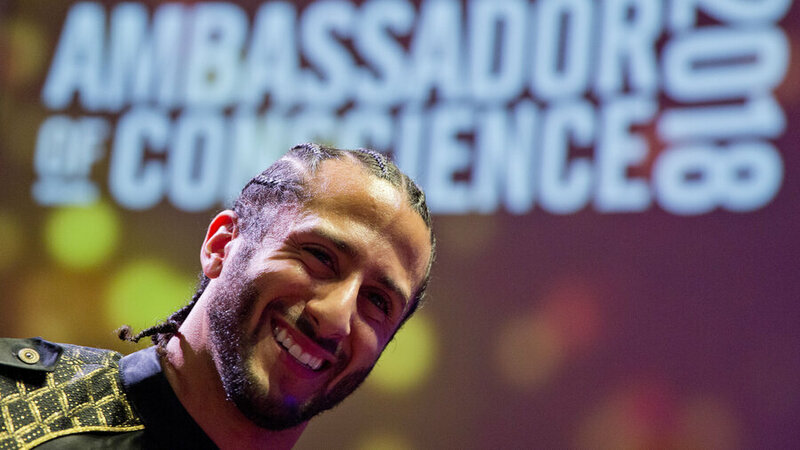 The award was presented to him by former 49ers teammate Eric Reid, who has also been ostracized for kneeling at the anthem. To me, and most people out there it’s pretty clear that Kaepernick has been shunned for taking a stand. To argue otherwise is delusional.